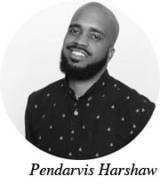 I’ve been trying to wrap my mind around what East Oakland must’ve been like in the 1970s: the decline of the Black Panther Party, the disbandment of the Brown Berets, the rise of crack cocaine. The decade between the Chevrolet factory's closure in the late 1960s and the rise of Felix Mitchell’s drug empire in the early 1980s. When E. 14th Street earned its name as the prostitution stroll I’d come to know as “E-ONE-FOE,” and films like The Mack depicted aspects of that lifestyle. As many escaped the horrors of war in countries like Vietnam, Cambodia, El Salvador and Panama, others celebrated. The A’s won championships from ’72-’74. The Warriors won one in ’75. And the Raiders did their thing in ’77. 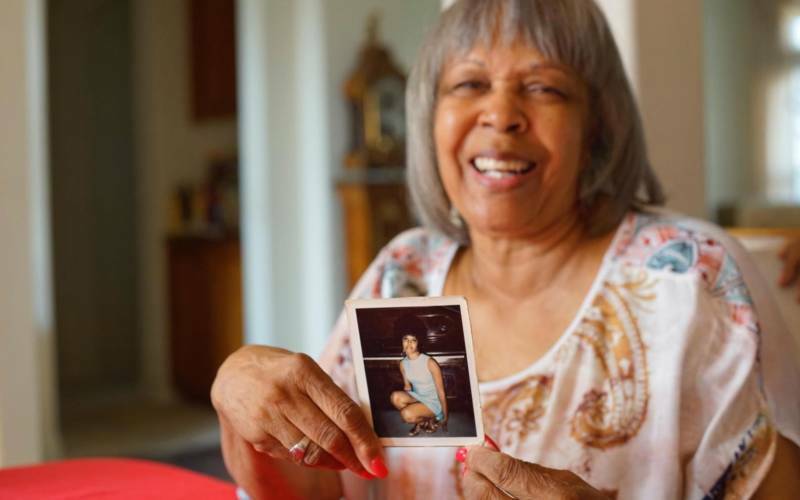 And in 1978, in a garage studio near the CP Bannon Mortuary on E. 14th in East Oakland, a young woman born in Shreveport, LA recorded songs about love that would be released on record in small quantities and nearly lost to history. 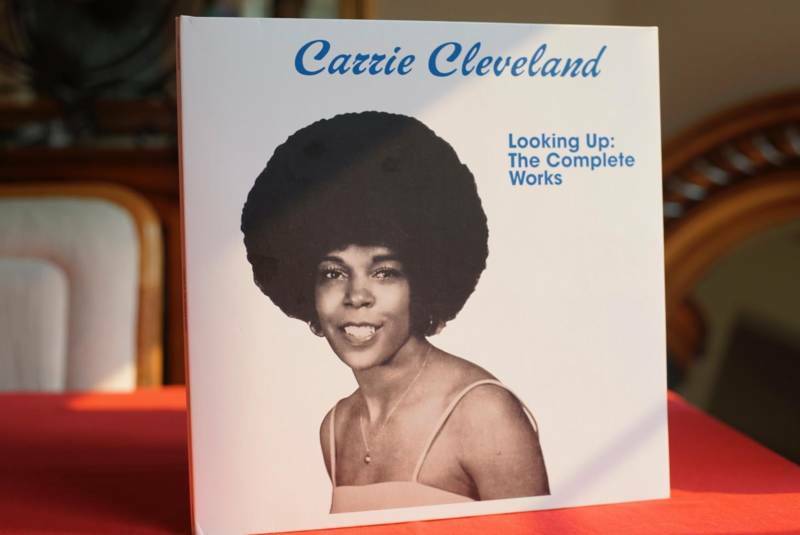 Forty years later, hearing Carrie Cleveland's album Looking Up is special, like discovering a box of intimate love letters. In fact, that's exactly what it is: love-laden songs adapted from the lyrical letters her husband Bill Cleveland penned, with Carrie's beautiful vocals singing over Bill's arrangements on songs like "Make Love to Me," "I Need Love" and more. 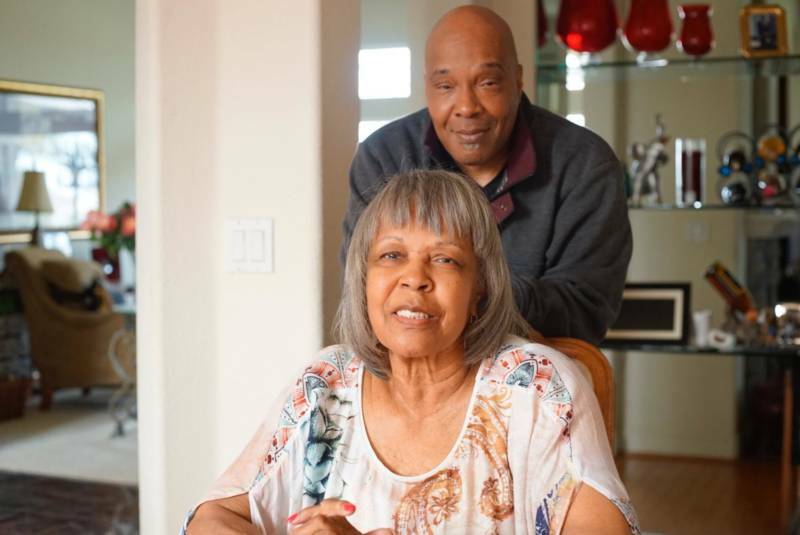 When the duo pressed and cut 1,000 copies of the record themselves, they had no idea that 40 years later, original copies of that album would sell for over $300 on this thing called the internet. I bet it would’ve blown their minds smooth out of their afros if they knew that a young woman from Europe would garner half a million views on this thing called YouTube by dancing to the sound of the Clevelands' immortal love. 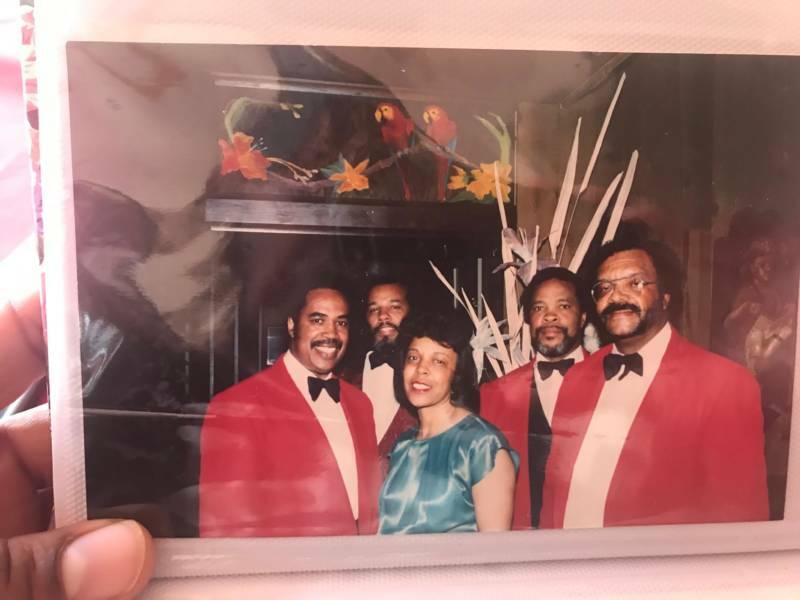 Part of me wishes I could jump into an old photo of the Clevelands and tell them to never stop recording, because their art is valuable—so valuable, one day people like 24-year-old Chris Webb would aggressively seek their record. But then he saw an online seller advertising original copies of Looking Up—who said they got them from Carrie herself. When I visited Carrie Cleveland at her home, Heston greeted me at the front door and welcomed me in. There she was: hair laid, nails done, jewelry sparkling, sitting at the head of the dining room table like royalty should. No sooner then I sat down did she get up to bring me two homemade teacakes. Heston knew a few things about the music business—he used to DJ for Oakland rapper Askari X—so he took an original copy of the album to a record store. 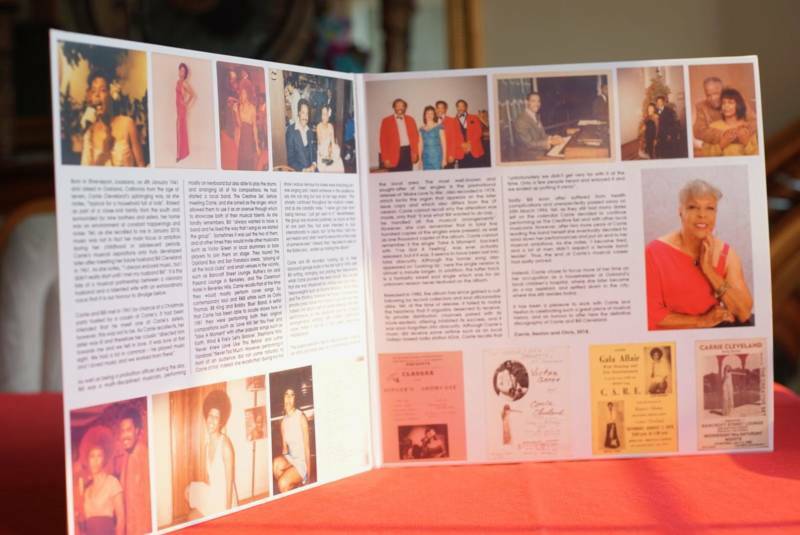 Heston then connected with Chris Webb, sending him old photos, flyers and biographical information for Webb’s company, Kalita Records, to reissue Carrie Cleveland’s album. Looking Up was officially re-released in September of this year. Carrie followed by telling me that she hadn’t listened to the songs in a very long time, so listening now made the songs feel as if they were new. 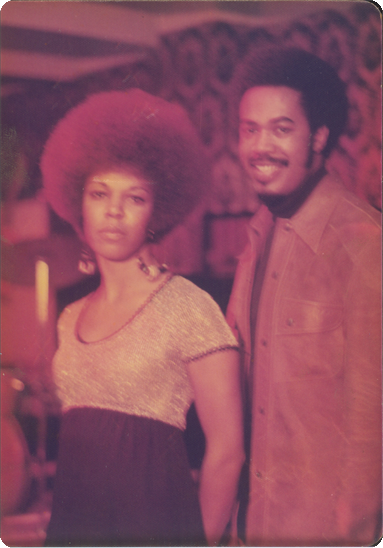 “Make Love To Me,” her most popular track by YouTube standards, is an uptempo, feel-good soul-disco track with a simple hook: “Make love to me, come on,” sung in a high pitch. It's the type of track hip-hop artists like Dipset or Just Blaze would have sampled during the throwback-jersey era. The seductive lyrics—“You’ve got a way about you that turns me on / Don’t waste my time, come on / Make love to me”—flow like honey over the groove-heavy backing. Liner Notes from Carrie Cleveland's 'Looking Up' album. Cleveland's other songs have a similar feel, although “Love Will Set You Free” is in a much lower pitch. 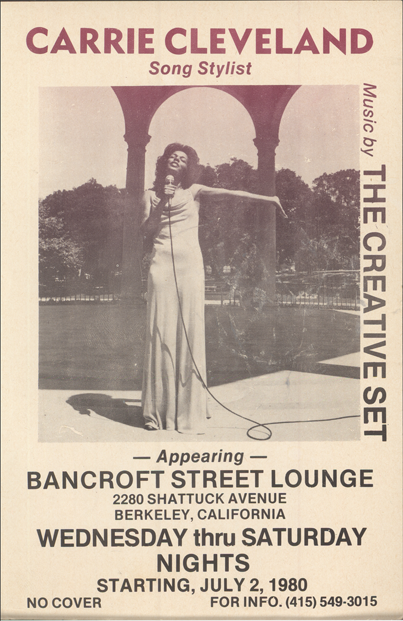 They’re all smoky lounge tunes, and that’s just where she performed them back in the day. I had to let her know things had changed; a lot of classic Bay Area music venues had shut down, some of them just this year. I dusted the teacake crumbs off of my hands, and then flipped through a photo book to see images of Carrie, Bill and the band performing at those long-lost venues. Places like the old Holiday Inn in Emeryville and the Pasand Lounge in Berkeley. She told me about performing in the 1980s on Mare Island in Vallejo, up in Grass Valley and even as far as Reno. “We used to sing at HS Lordships on Sunday evenings, that was a long time ago,” she said as we continued to flip through the photos. Carrie identified images of former band members, sometimes only by the instrument they used to play. When Bill passed, Carrie continued to sing. “Even when he died, I still kept jobs,” Carrie told me, noting that she made sure to finish the shows they already had scheduled. But eventually things fell apart. “A lot of men didn’t respect a female bandleader," Carrie said. And so she put down her dreams of singing and found work as a housekeeper at Children’s Hospital in Oakland, eventually becoming an X-ray assistant. Now that her records are back in rotation, she tells me she doesn’t fully know what to expect—but she’s back to singing in the shower, and that’s a good sign. Heston is in talks with her about performing again. But, for now, Carrie focuses her creative energy on food. Before I left, I let her know the teacakes she made were delicious. She quickly gave me a ZipLoc bag full of them, and told me to put them in the freezer. And, when I have an appetite for one or two, to take them out and let them defrost—they’ll be good forever. I wonder how they'll taste in forty years.